Our Oakridge Apartments offer a comfortable yet stylish lifestyle right in the heart of the community. With a wide range of amenities and an efficient 760 square foot room plan, each airy one-bedroom apartment provides the perfect home for individuals and families. Oakridge also offers a limited number of 2-bedroom and 3-bedroom units. Set alongside the Wallkill River, Middletown is home to a variety of historic churches and large Victorian houses. That historic atmosphere is the backdrop for shopping at destinations like Galleria at Crystal Run and major retailers like Gander Mountain and Pier One, as well as ethnic eateries and small shops. Enjoy performances at The Paramount Theatre, browse the Thrall Library, or enjoy the annual 10K race and summer outdoor concerts that have become a local tradition. 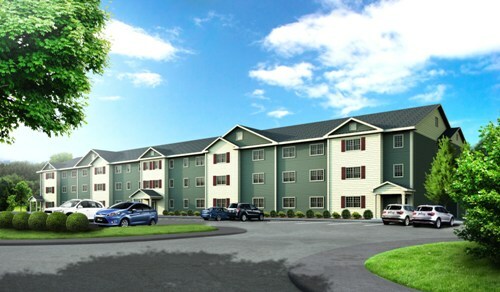 Oakridge Apartments is situated in a wooded setting on the east side of Middletown, and is close to major shopping and dining, as well as Middletown’s new state-of-the-art Medical Center. Oakridge Apartments offers one, two, and three bedroom apartments for the active senior, veteran or family. For more information on these units in Middletown, NY and / or to find out what units are currently available to rent, please call our sales office at 845-343-2880 or click for an application.